The latest Göttingen uni:inform newsletter features a piece on eTRAP! The text (in German only) can be read here (page 5). 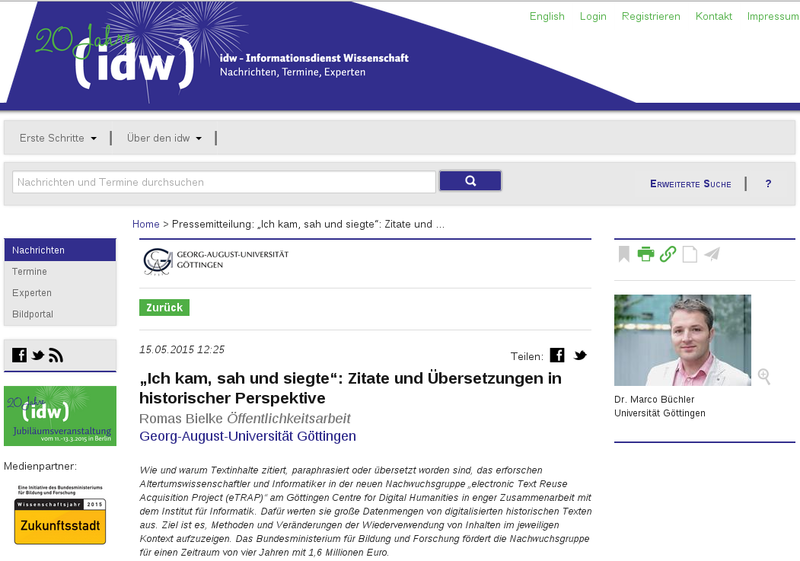 A second eTRAP press release has been issued by the IDW (Informationsdienst Wissenschaft)! Click on the image below for the full article (in German only). 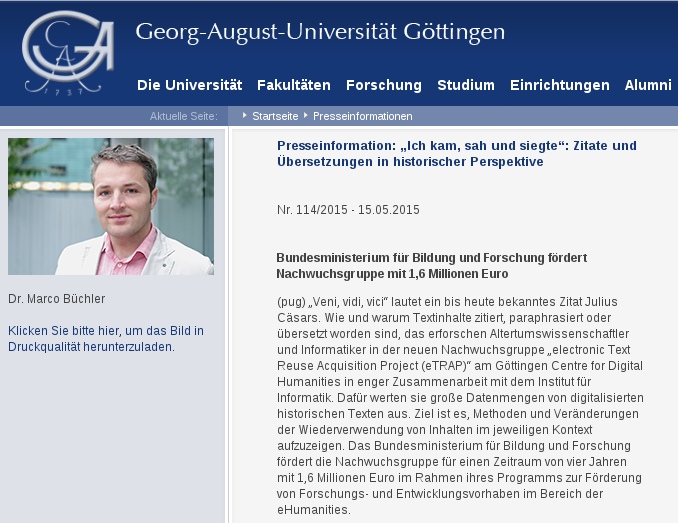 Göttingen University has just issued a press release about eTRAP! Click on the image below to read the full piece (in German only). Greta Franzini on Grant awarded! Andrea Bolioli on Grant awarded! English translations of Pan Tadeusz: a comparison with TRACER | on DH Estonia 2015: attend the eTRAP Workshop!